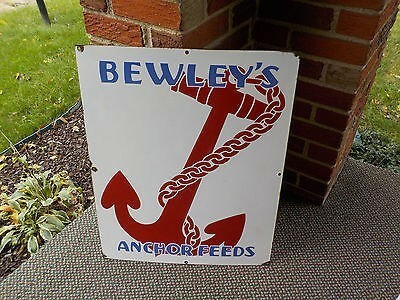 At only 25″ by 20″, the Bewley’s Anchor Feed signs feature a simple design. The sign is light blue, red, and white. White is the primary color. There is an anchor in the center of the rectangular sign that is red. The anchor has a red chain coming off of it.